Since he was a boy growing up in Missisippi, Father Tim has lived what he calls “the life of the mind.” Except for cooking and gardening and washing his dog, he never learned to savor the work of his hands. And then he finds a derelict nativity scene—twenty figures, including a flock of sheep, that have suffered the indignities of time and neglect.Could he give the small company new life? Restore the camel’s ear, repaint every piece, replace a missing nose on a wise man? “You can’t teach an old dog new tricks!” he reminds himself. 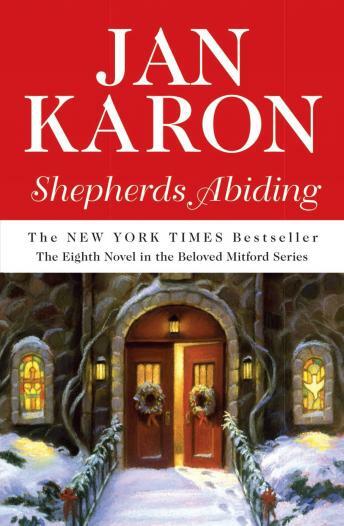 It’s when he imagines the excitement in Cynthia’s eyes that he steps up to the plate—and begins a small journey of faith that touches everyone around him.The eighth novel in the bestselling Mitford Years series is a meditation on the best of all presents—the gift of one’s heart. Lovingly written and beautifully illustrated, it seeks to restore the true Christmas spirit and give everyone a seat at Mitford’s holiday table. I thought this story was uplifting and entertaining. It was the first Mitford series I have listened to and love the characters. They are a bit wholesome, but I loved them. Very sweet stories. Always good but I missed Dooley and several other characters! Uplifting and positive. Jan Karon's characters are endearing and real. Extremely enjoyable... the narrator's voice and "voices" of characters is exceptional.